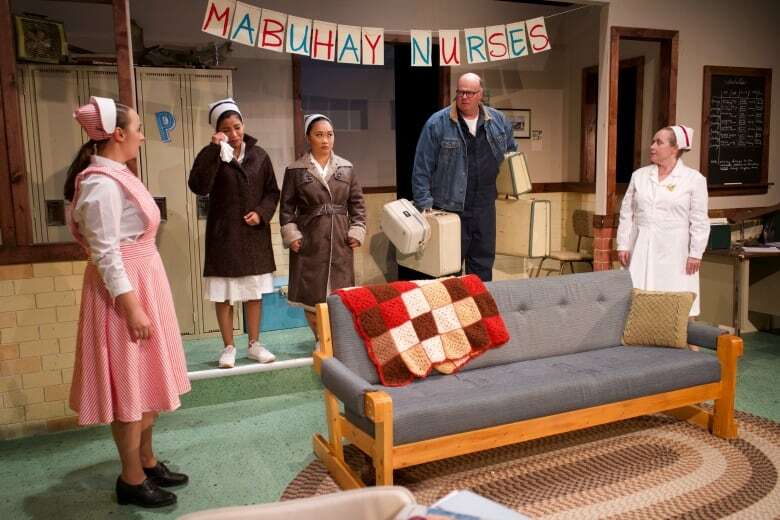 Prairie Nurse, opening this weekend at the Station Arts Centre in Rosthern, tells the story of a Filipina nurse who comes to Saskatchewan in 1967. The story of health care workers from the Philippines making their way to rural Saskatchewan is one that has unfolded thousands of times. In fact, Tagalog — spoken in the Philippines — has been reported to be the second most-common language in Saskatoon. But in 1967, not long after the birth of medicare, these stories were just being written. One of those stories was that of Toronto playwright Marie Beath Badian's mother. "She answered an ad in the paper — 'Canada needs nurses,'" said Badian in an interview with CBC Radio's Saskatoon Morning. 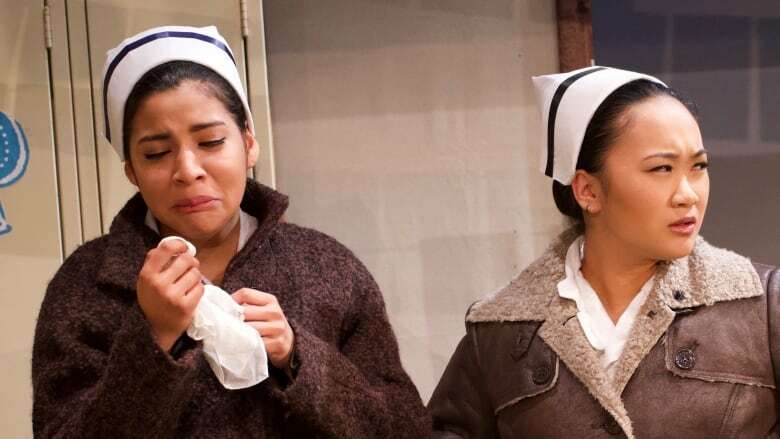 Badian's play Prairie Nurse is opening this weekend at the Station Arts Centre in Rosthern. It tells the story of a Filipina nurse who comes to Saskatchewan to work in Arborfield. The character is based on the true-life experiences of Badian's mother. "The allure of Canada was citizenship within two years," the playwright said. Prairie Nurse — a comedic story of mistaken identity that also highlights stereotypes and a sort of uneducated, lazy racism — finds its inspiration in a trip that Badian took with her mom to Arborfield, decades after the real-life Prairie nurse had left Saskatchewan for Toronto to raise her family. "There were still a few people who were alive that remember Mom, and every time we would be introduced to these people who Mom remembered, the first thing, even before they said hi to her, was, 'Where is the other one?'" The "other one" was a Filipina nurse named Penny. Locals couldn't tell them apart, and didn't really seem that interested, Badian said. "Everybody associated them as a pair, as a unit." But there is much more to Prairie Nurse, and in the end, Badian describes it as "a good story of welcoming." Priaire Nurse runs at the Station Arts Centre in Rosthern from July 6 to Aug. 5.